Guess Who Never Read My Book? … I put in a request that they add it to their collection, and in the meantime asked them to try to get it on inter-library loan. They got it in, and today I went to pick it up. Taking a look to see what library they borrowed it from — the label said “Liberty University”! Then I took a closer look. The book was absolutely pristine. It’s a paperback, and it looked as if it was straight off the bookstore shelf, as if it had never been opened. No one there has ever read it. That doesn’t surprise me. It does criticize some churches… and it’s written by an atheist. How dare anyone get close to that piece of blasphemy! If they’re not going to read it, can’t they at least humor me and just ban the book? "I'm afraid I couldn't help you with this. I have no academic background in ethics. ..."
Wow. I too am surprised they even have your book there. Too bad about no-one reading it, but at least it’s there in case someone eventually decides to do so. At least they bought it in the first place so you got some money out of them. Librarians are, in general, awesomely liberal and open-minded. I bet the librarian at Liberty University is no exception – I bet he or she is secretly buying all these awesome, challenging books about faith, but ends up disappointed when no one checks them out. “Books? What are books?” asked Weena. Are you sure it didn’t come from the special section, like where the Vatican keeps all its dirty laundry and secret documents? They won’t ban. They know they wouldn’t win in the long run. ..it’s likely that one of the teachers ordered it just to see if anyone would check it out. ..He’s probably attacking you in class as I type. ..Your name is up in lights – sorta. The library doesn’t need to ban it. The Baptists that go there have been well trained know better than to read anything written by an atheist. It will just smugly be ignored. It’s probably only on their shelves as a trap. If someone checks it out, the school launches an investigation into that students “subversive and dangerous” activities. It happened at my private Christian School when someone dared to have a Harry Potter book in their posession. I have a sneaking suspicion that all the books at Liberty are in pristine condition. With the exception of the “left behind” atrocities, do you really think those people read anything? My experience is that most biblical literalists have literally not read the Bible. littlejohn, I’m betting the romance novels are hugely popular. I cringe to remember how bad I felt as a Christian teenager reading that garbage. Literally a secret way to indulge one’s lust for the male of the species while denying it was about lust instead of love. Hahahahaha!!! 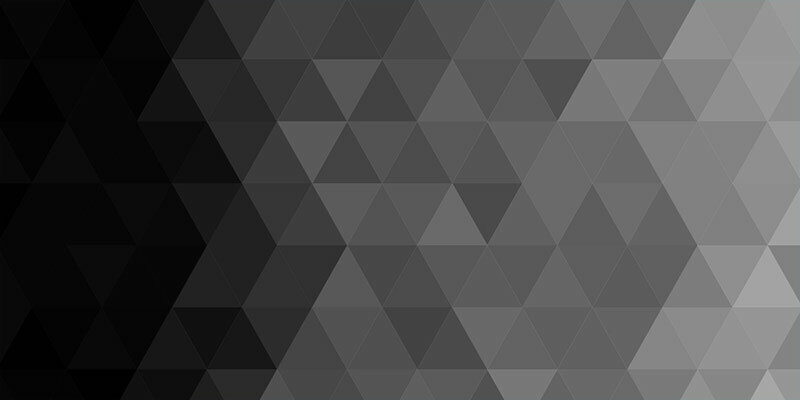 Hemant, when I saw the title of this post, I thought you’d found me out. I haven’t read it yet and I think I need to remedy that soon. I made a New Year’s resolution to not buy any new books until I read the stack I had already purchased — about 20 give or take at the time. I broke it to buy the next in the Rachel Morgan series but that’s all so far. The Liberty University logo is, I kid you not, a book on fire. So maybe it’s just waiting to go on the pile to be “Knowledge Aflame”. That’s Liberty’s motto. I’m serious! Lets get down to fundamentals, people: can Liberty students even read? After I’ve returned this copy, you could see if your library could do an interlibrary loan. You can tell them that you know that Liberty University has a copy they aren’t using! lol, Ubi, I’m betting that that’s a little bit out of our inter-library loan system. I wouldn’t be surprised if the suburb I live in has it because they’re surprisingly diverse but even if they don’t, the Capital District libraries are all on this interlibrary-lending system where if your branch doesn’t have it, another usually does. I’m willing to bet Albany’s got it. I’m completely qualified for this position except for the last part, as I’m an atheist. I could still catalog their books objectively, though. Still, I’ll agree it was a brave collection development decision on the part of the librarian who made the purchase for that institution, even if they did sign a “declaration of faith” statement to be employed there and are genuinely religious themselves. This librarian probably honestly believes her faith can stand rational investigation and it will only strengthen the faith of students to read Hemant’s book. It’s clear the students and faculty don’t agree with the librarian’s optimistic assessment, however. 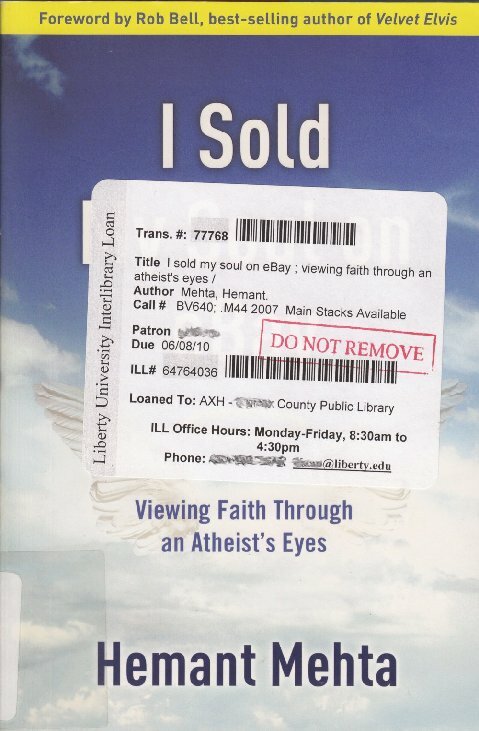 Still, I’m glad Liberty hasn’t weeded Hemant’s book due to low circulation at Liberty…since it *is* made available via Interlibrary Loan to other libraries. If it gets enough circulation/use via ILL, Liberty will have no choice but to keep the book in circulation so long as it remains in otherwise good physical condition. i dunno, maybe no one has read it because it has a gigantic sticker right across the title?